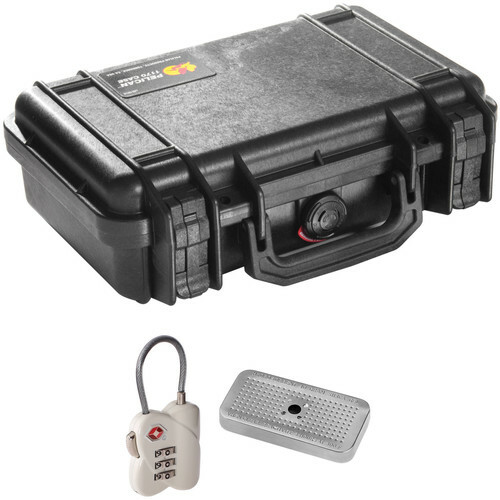 Store, protect, and transport your valuable gear in this B&H Kit that combines a black Pelican 1170 Case with a Foam Set, a TSA Lock, and Desiccant Gel. The watertight, dustproof case features ultra-high impact copolymer construction, automatic-pressure equalization valve, easy-open double-throw latches, an oversized folding handle, and more. The padlock hasps accept the included Ruggard 3-Dial TSA Combination Lock. Use the Ruggard Desiccant Silica Gel Pack to help protect stored gear from moisture. This gel pack is housed in a reusable metal tin. Box Dimensions (LxWxH) 12.1 x 8.6 x 4.3"